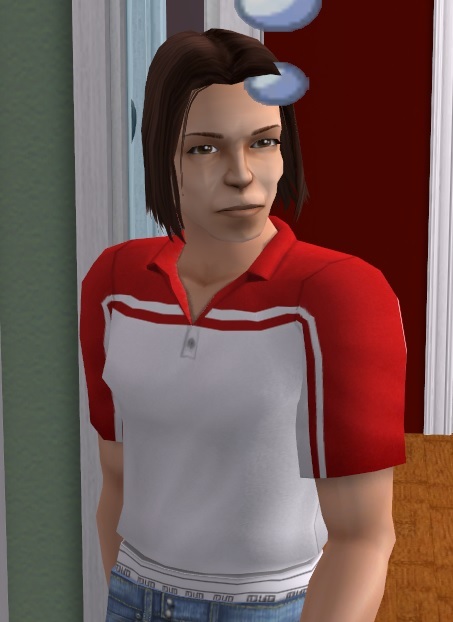 Tommy is a grown-up townie child, son to Peter and Samantha Ottomas. He was invited to SimLand University by Bertil Mattsson. After graduation, he moved back to Mattsmyra to live with Berit Carlsson as a third generation adult. He's got brown hair and brown eyes with a light skin tone. His aspiration is Fortune/Family and his LTW is to become a Bussiness Tycoon - acheived. Now he wants to become Chief of Staff. His turn-ons are fatness and charisma, turn off is high rank jobs.